Back in August last year, we published our first ever post on Quiff Pro 'Fro, an "Introducing..." piece on Victoria & Jacob, an electro-pop duo from London. Earlier this week I got a chance to catch up with Victoria herself on their recent goings-on. She tells me they’ve been playing with “samplers, synths, vocal effects, delays, and pitch-shifting”. “We really like the pitch shifting,” she says. 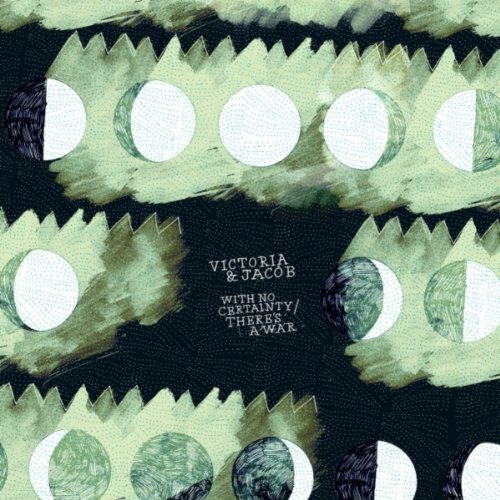 Perhaps I come across as a little too big a fan of that early folktronica stuff, with its endearing glitchy beats and half-spoken vocals, because Victoria defends the new direction passionately. What kind of stuff has she been influenced by recently, then: does she has any particularly good recommendations? If these name-drops are anything to go by, the new stuff could well be even spookier, and certainly dubbier, than last year's atmospheric EP, With No Certainty. Recently, they’ve been advertising for additional musicians to beef up their live act. “We want to come back and show that we’ve moved up a step,” Victoria explains. “So we want to define our sound and define our live set. Visually we’re quite static, I think – we wanted something more energetic, so we’re looking at drummers at the moment. “It’s difficult to get a balance between what you’re recording and what you’re playing live – with only two people, you can only do a certain amount. But now when we’re producing, we’re using all the equipment that we use live to produce so it’s all easier, because we’re just doing what we do in the studio." In other words, they're trying to bring the live sound as close to the studio sound without losing any spontaneity. Victoria & Jacob will be playing The Old Blue Last in London on 20th June, and make sure to check out their official website for further upcoming gig announcements. Oh, and their lastest EP, With No Certainty, is on sale for a bargain £2.37.